Store this Doohickey Carabiner Multi Tool on a key ring, in a purse, or in your office drawer for those times when you need to make a small repair or tackle an odd job. 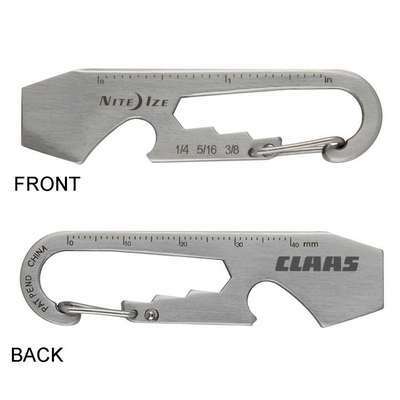 This tool features a carabiner clip with a strategically shaped opening to function as a wrench, an etched ruler for measurements, a bottle opener, a flat head screwdriver, and a blunt tip box cutter. It is thin and compact enough to easily attach and travel with you wherever you go. 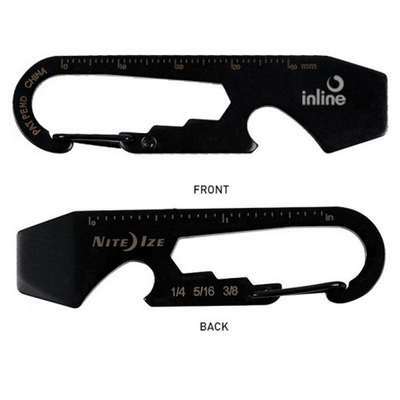 Proudly display your logo on the handle of this multi-purpose tool for your next giveaway or campaign.